Here it is, hot off the PRESS! 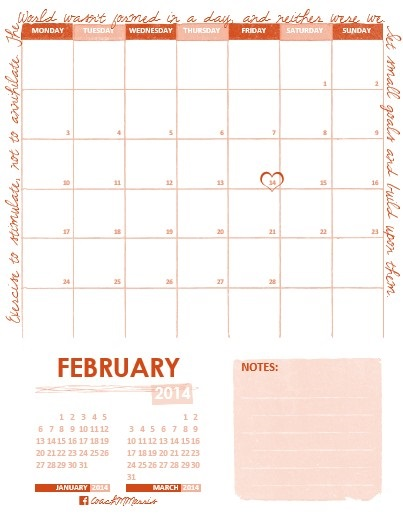 February's motivational FITNESS calendar. The theme for this month is nothing great happens overnight!